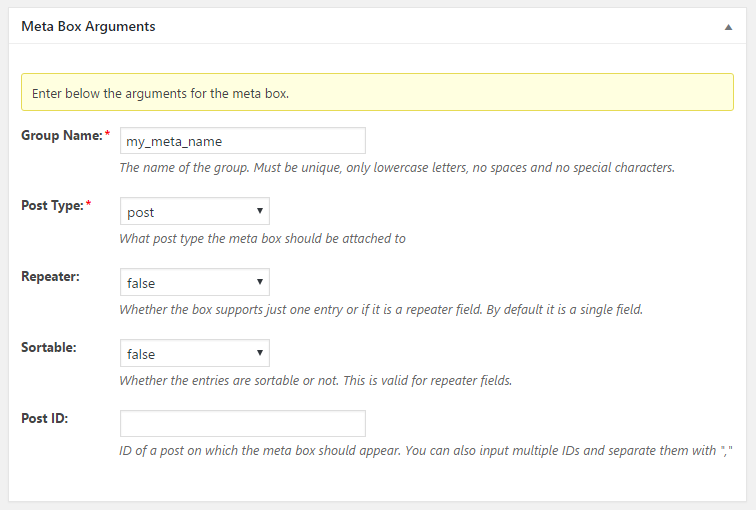 This Extra Field Type is available in WordPress Creation Kit Hobbyist or Pro. The User Select Field displays a dropdown that lets you select one of the users registered on your website. 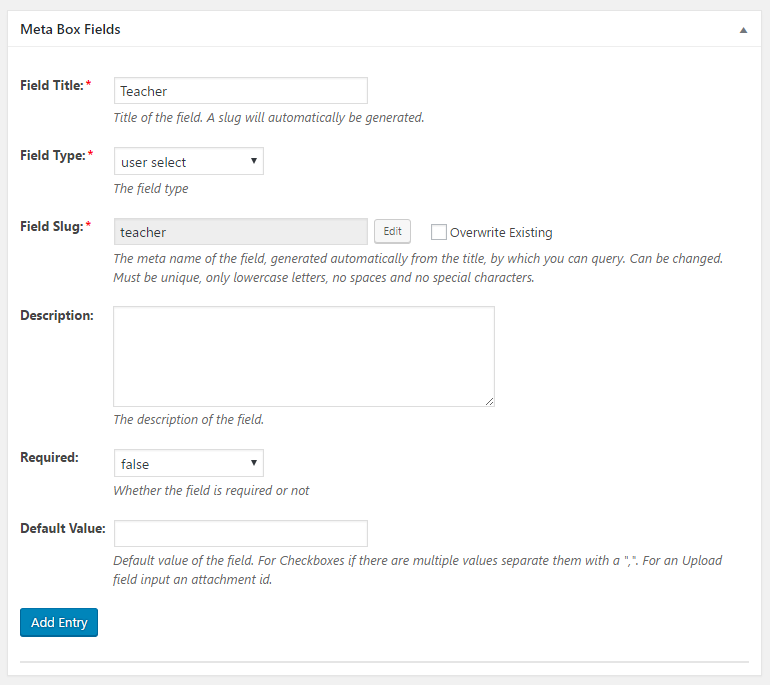 To add a User Select Field to a previously created Custom Meta Box, under the Meta Box Fields tab simply insert a Field Title and under Field Type make sure you select User Select. The User Select Field returns the users display name or an array with the users details. The User Select Field returns the user id.